This sought after fig is considered to have one of the best flavor profiles of many worthy contenders. Medium sized figs with long necks are black in full sun, red fleshed, and deliver all the figgy delights you can imagine. Raspberry jam and Clementine oranges dominate the flavor profile of these properly ripe beauties. Ripens late, so needs a long warm season with late frosts. 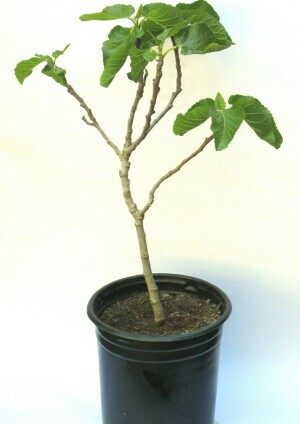 Trees are about 2.5' tall, 1/2" caliper trunk, a few branches as of March 2019. Grown and shipped in 5 gal containers. OUT OF STOCK.